THE start of a new millennium ushered in fresh opportunities for Overseas Filipino Workers, when European countries including the UK and the Republic of Ireland discovered the ingenuity of workers from the Philippines. Filipinos all over the world have been renowned for their exemplary skills and hard work since time immemorial. Their dedication and flexibility in their respective fields and professions has benefitted not only themselves and boost the economic status of our country the Philippines, but also their host nations globally. The demands for many of these workers are in the medical and caring professions who used to fill-up shortages mainly in the USA and in the Middle East for several decades now. 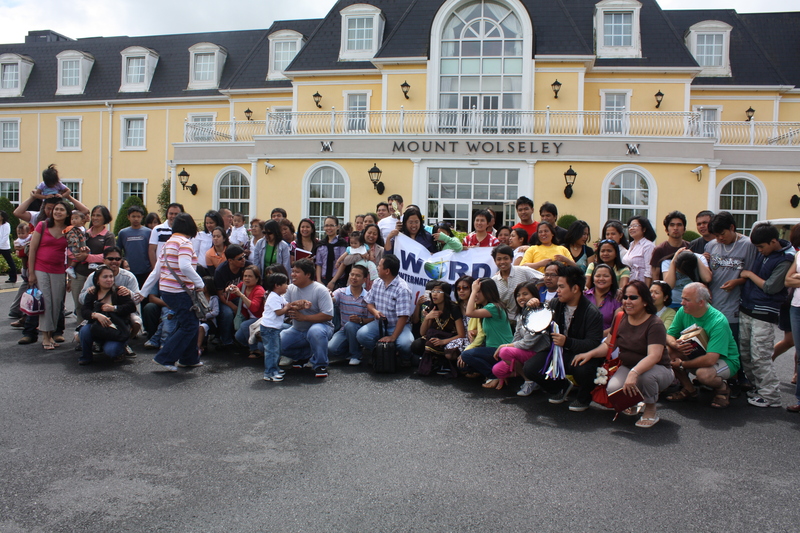 The first batch of Filipino workers who embarked to Ireland included Christians from different points of origin. As they started to meet each other, they were reminded of Hebrews 10:25 exhorting Christians not to neglect gathering together to fellowship, study the Bible, and encourage one another. Because of this mandate, a Bible Study Group started in a small room at the Nurses’ Residence of the Mater Public Hospital, initially led by Bro. Garie Tarrega and Sis. Juris Matusalem. When they moved out to private accommodations, the meetings became more regular and by word of mouth other Filipino Christians joined them. The influx of these workers has not gone unnoticed. 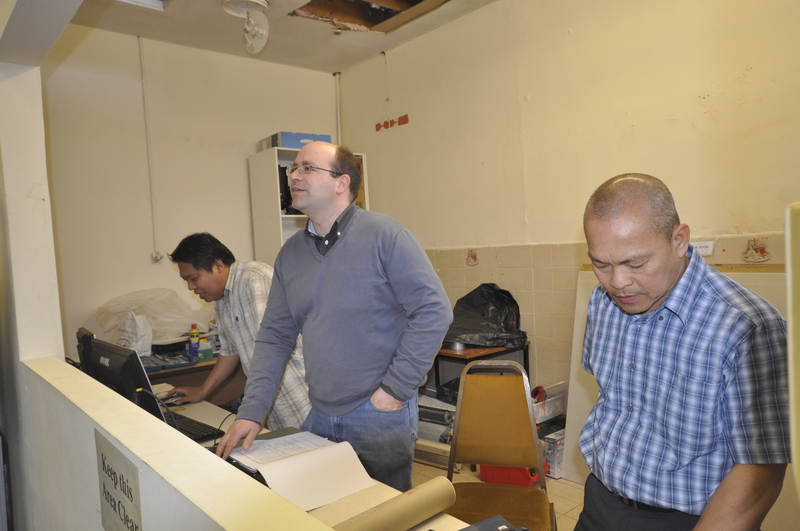 To address the spiritual needs of these workers, an appeal has been made to the bishop of the Solid Rock Church in Drogheda, Co. Louth to send a Filipino to minister to them within the context of Filipino culture and mores. Sis. Patricia Rivera, a lay worker from WORD International Ministries (Dubai, United Arab Emirates) was sent to help assemble Filipino Christians and minister to their needs. The foundation has been laid down by these brethren. Initially attending different Christian churches already in existence in Dublin, now they sought each other – Filipinos in a strange land, hoping to ease their homesickness even by just hearing their own tongue spoken, or finding a common affiliation when they meet someone from their hometown. Previously strangers, their faith and culture have brought them together. 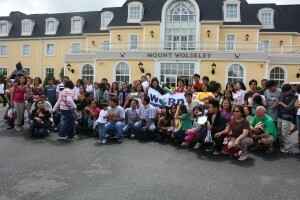 Filipino workers from nearby counties who have heard of these gatherings decided to attend whenever they visit Dublin. 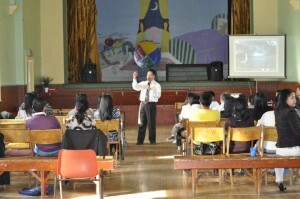 The first organised gathering was at Stephen’s Green Park where more than 30 Filipinos attended. Our natural exuberance and boisterousness caused the Park Marshall to stop our second meeting there. This motivated us to seek a place where we can conduct formal services. A Romanian congregation of the Church of God helped us by sharing their meeting place in Moore Lane. Because of the more formal nature of the weekly meetings, more Filipinos attended, prompting the need for a Filipino pastor / minister. Different pastors and missionaries visited the meetings: Pastor Fergus Ryan – head of the Trinity Bible Church; Gail Dixon, a Welsh missionary to Korea and Central Africa; Pastor Bill Oden, an American pastor in the Philippines; Pastor Japs Papas, a Filipino pastor visiting his wife working in Dun Laoghaire and Pastor Nick Park – bishop of the Solid Rock Church of God in Drogheda who also helped facilitate the appointment of a Filipino pastor to shepherd the growing congregation. Bible Study groups were established in several homes during this time – in Leeson Street, Drumcondra, Glasnevin, Mountjoy Square, Swords and in Drogheda, Co. Louth where the first overnight prayer meeting was held to seek the Lord’s guidance over the church. A weekly prayer meeting also started afterwards. When the Romanian congregation moved to Drumcondra in November 2002, we were again asked to share their premises. There, the structure of the church began to take shape. 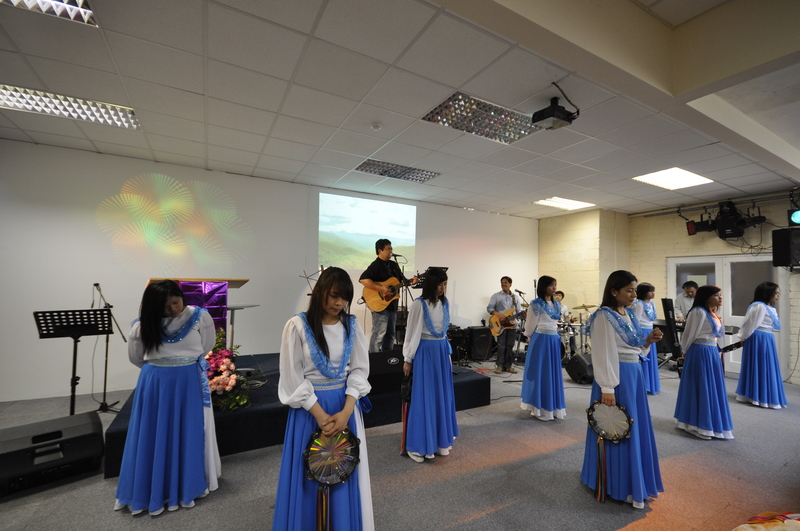 Some ministries were set up namely: Praise and Worship, Prayer, Children, and Administration. Elders and deacons were also elected. The initial name “Lord of the Harvest Church, WORD International Ministries” was conceptualized in September 2002. The name of the Church was taken from Matthew 9:37-38 which says, “The Harvest is plentiful but the workers are few. Ask the Lord of the Harvest therefore to send out workers into His harvest field.” This verse continues to inspire the church to WIN souls scattered around Dublin and all over the Republic of Ireland. Less than a year later, a fire gutted the meeting place in Drumcondra. 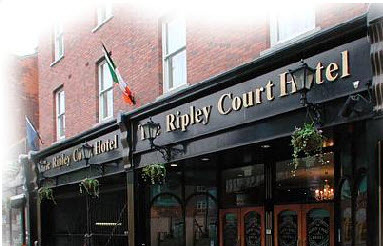 The Church started meeting in different hotel function rooms until we were led to The Ripley Court Hotel in Talbot Street where the church continued to meet for three years. The earnest prayer to have a Filipino Pastor was answered by the Lord in the person of Pastor Victor Mario Lopez of WORD International Ministries who arrived in October 2003. A new era evolved as the church allowed God’s blessing to overflow through the leadership of Pastor Vic Lopez. With the arrival of Pastor Vic’s family in 2006, many members were encouraged to petition their dependents to join them here in Ireland. The Lord was gracious and his favor upon these visa applications was so evident, that many spouses, children and young people arrived. Soon, the Couples, Youth and some more levels of the Children’s ministries were added. Because of the excitement of families being reunited, the first Family Camp was organized and held in August 2007 at Avoca Manor in Co. Wicklow. Since then, the Family Camp became an annual event drawing more and more families to come and be equipped with Biblical principles regarding the family – parenting, relationships, youth and single issues. Of course what makes these events very memorable are the fun-filled activities and games called Familympics that strengthens bonds of friendships within the church and other delegates. 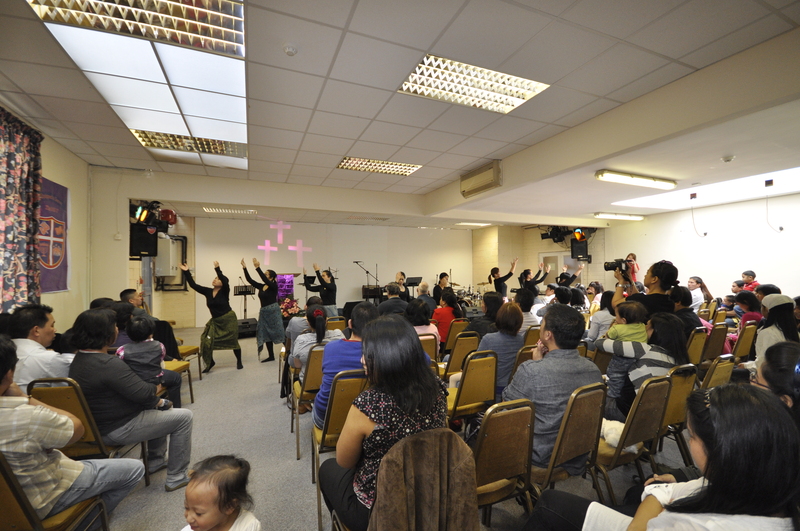 Involvement in the Filipino Community began in 2006 when the church performed at the Philippine Independence Day celebrations. The Worship Team, Tambourine, Youth and Children’s ministries all gave their best and the rest of the members reached out to other ‘Kababayans’ by giving out Gospel Tracts and Christian literature. Last Christmas 2009 also saw the involvement of the Church Choir in the first-ever Paskong Pinoy organized by the Phil. Embassy and the FCN (Filipino Community Network). In November 2007, the church moved from the City Center to the Red Cow area where we shared a building with an African congregation under Ptr. Remba Osengo. It was here where we had our first “Holiday Club” or DVBS (Daily Vacation Bible School) for children entitled “Wastewatchers”. This also became a much anticipated annual event along with the Family Camps, Church Anniversaries, Couples’ Dinners and Christmas Presentations from the different Bible Studies and Care Groups. 2008 marked a new beginning for the church. After much prayer, consultations and several deliberations, the church leadership decided to adopt the name “WORD International Ministries – Dublin, Ireland” to identify with the global community of churches to which we belong and are affiliated with. Unfortunately, some of the workers did not share the same vision of the organization and left the church. 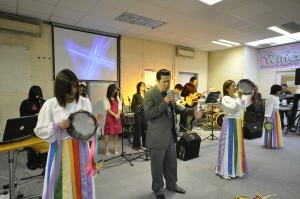 However, the Lord’s sovereign hand continued to add new members and families to the church. 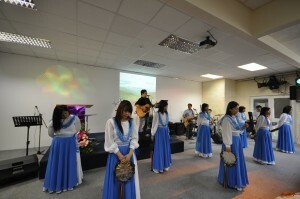 More and more ministries were added to the church in 2009: The Ladies Ministry called WinGS (Women in God’s Service) and very recently, its counterpart for the men called KinGS (Knights in God’s Service). The Junior Youth was also added to minister to the children who have graduated from the Middlers classes. We are still praying that a Young Adults ministry will also be birthed. WIN-Carrickmacross was also birthed in 2009. This outreach in County Monaghan meets every last Sunday of the month and continues to grow attracting even some Irish, Guatemalan, and French nationals. We are praying that it would become a full-pledged local church winning people from the Northern part of Ireland. We are also praying that new outreaches will be birthed in Cork, Galway and other key areas all over Ireland. As the church continued to grow and become more established, the need for a permanent church home became more intense. The church continued to pray and look for different options until the Lord finally led us to Unit G-5 Chapelizod Industrial Park in Dublin 20. “God answered our prayers and gave us a new home” even as people generously gave and worked voluntarily to make this new venue God’s Sanctuary for WIN-Ireland. In Jan 2011, our Senior Pastor of 6 years Pastor Victor Lopez and his family had left WIN Ireland to be re-assigned as Pastor Missionaries to our church in WIN Silicon Valley California USA. The previous WIN Frankfurt Senior Pastor Manny De Leon (also WIN-Europe Regional Director) and his family moved to Ireland in July 2011 and became our new resident Senior Pastor. From when Pastor Vic left in January and up to June, WIN European pastors from UK and Netherlands have been visiting Ireland once a month to assist the local church leaders to conduct Sunday Worship Services two weeks in a month. In March 2011, the Monaghan Carrickmacross Outreach has started conducting two Sunday Worship Services a month. Since January 2012, WIN Ireland has been granted Charity (CHY 18947) status by the Irish government. At this same time (15th January 2012) WIN Carrickmacross has started 4 Sunday Services a month. Outreaches to Cavan and Cork have also taken big returns to families that long for bible studies and have not settled into a local Christian church. On 27th January 2013, new WIN Ireland Pastors have been installed. Bro Jojo Geroche is installed Pastor in WIN-Carrickmacross; Sis Patricia Rivera, Pastor and Teacher in WIN-Dublin; Julius Abalos, Youth Pastor in WIN-Dublin, then later on assigned as Pastor in WIN-Cavan in 2nd Quarter of 2013; and Pastor Marlon Almonte, Associate Pastor in WIN-Dublin, then later on assigned as the Pastor in WIN-Kildare in September 2013.